Warner Bros was back this year with a huge number of events and the San Diego Camera Crew from Solana Productions were once again providing coverage. 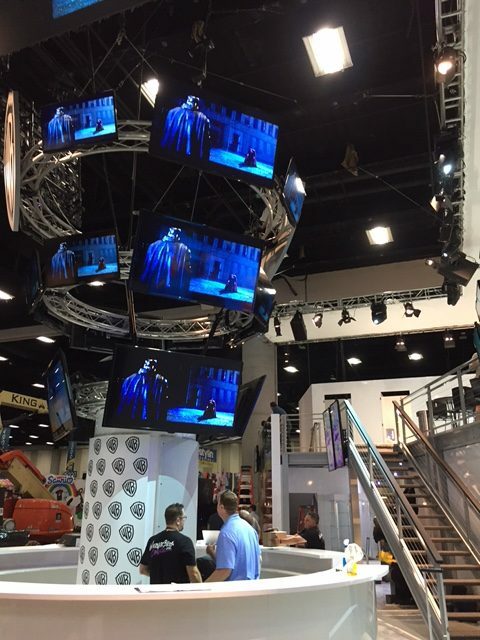 This included wireless video systems feeding several monitors towering over the booth. 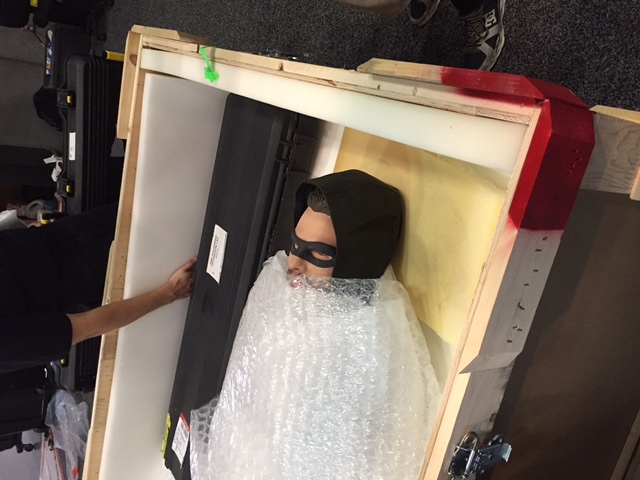 Attendees stopped by to see the actual production costumes from Arrow, Supergirl, and The Flash, as well as a super-sized LEGO Batman whose unboxing was captured by San Diego camera crew. 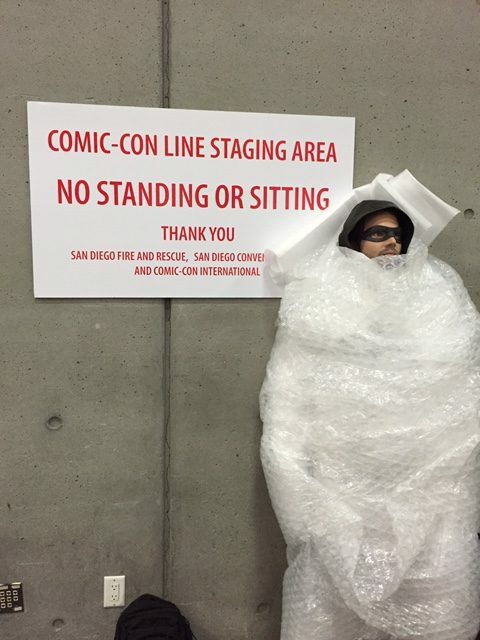 And what would Comic Con be without new rules about where to sit and stand? It’s so crowded next year they’ll have specific times for each attendee to breathe! Lego Batman the Rule Breaker! There were also 13 postcards, featuring your favorite TV series (including The 100, Arrow, Blindspot, DC’s Legends of Tomorrow, The Flash, Gotham, iZOMBIE, Lucifer, The Originals, Supergirl, Supernatural, Teen Titans Go! and The Vampire Diaries) given away. The Fantastic Beasts and Where to Find Them Wand Station offered training to try your hand at mastering all-new spells. And with a signing schedule like this it made for very full days for the crew.